Rampant caries is a clinical condition defined by rapidly advancing dental decay on a majority of the teeth. Typically, when a patient presents to our office and there are substantial areas of decay on 1/3 or more of the teeth, we begin to get concerned that what we might be seeing is a case of rampant caries. The theory behind this disease entity suggests that open cavities retain large quantities of acid producing bacteria. Once levels of this type of bacteria get sufficient, in the saliva the breakdown of tooth structure advances quickly. High carbohydrate consumption in the form of simple sugars and complex sugars can also exacerbate the condition. Very often, patients experiencing this type of decay will be found to have poor oral hygiene and consume significant quantities of soda or sweetened beverages throughout the day. The combination of acid producing bacteria left on the teeth in the form of plaque, and a significant sugar source is bad enough, but the addition of carbonic acid (soda water) and / or citric acid (lemon juice) also lowers the pH of the mouth. Lower pH is associated with tooth decay. Bacterial plaque produces acids of its own as they consume sugars from out diet and hold this acid against the teeth in the matrix of sticky goo they secret to hold them fast to the teeth. While our saliva has a unique ability to neutralize acids in the mouth, it takes saliva a time to achieve neutral pH status. Consuming soda every five or ten minutes throughout the day keeps this neutral pH environment from being established. Teeth, being made from calcium, will breakdown in an acidic environment. In fact, our teeth's calcium structure is always in a state of flux. During acidic periods calcium flows out from the tooth. When the oral environment neutralizes, calcium returns into the calcium matrix that makes up the teeth. As long as the outflow of calcium does not become too extreme, the matrix or structure of the tooth's enamel doesn't change. However, if too much calcium leaves the enamel matrix, the structure can begin to lose its crystalline form. Then when calcium salts in the saliva attempts to re-mineralize the tooth, it forms a chalky, amorphous looking enamel that is very opaque--unlike normal enamel which is somewhat translucent. 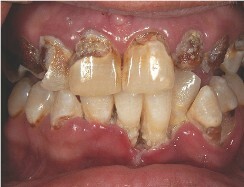 This type of de-mineralized enamel which is called a "white spot lesion," is much more susceptible to decay. Further episodes of demineralization that get severe enough, can cause cavitation to occur, and a cavity is born. 1. Immediate evaluate the home care of the patient, give oral hygiene instruction, give the patient disclosing tablets to evaluate plaque control and ensure that flossing is instituted. 2. Immediately deploy prescription anti-microbial rinses, such as chlorhexidine gluconate or OraCare. This will help to control the bacterial load and to helpfully change the type of bacteria that predominate the oral environment. 3. 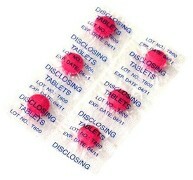 Once a month of chlorhexidine gluconate rinsing is done, prescription fluoride gel is then employed 2 to 3 times a day. After good plaque removal has occurred, a strip of fluoride gel is placed on the brush and distributed over the teeth for one minute. Care should be taken to thoroughly spit out the excess fluoride, so little to none is swallowed. 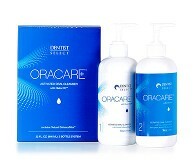 OraCare can continue to be used once fluoride therapy ensues, but not chlorhexidine gluconate. 4. Quick and methodic removal of decay must be instituted. Closing up large cavities with temporary fillings and quick treatment is essential to a successful outcome. Should open decay persist, new decay can arise on previously healthy tooth structure, so that treatment is never complete. In such cases the mouth deteriorates until all the teeth are lost. 5. Tight recall examinations and dental cleanings at 3 months intervals are in order. 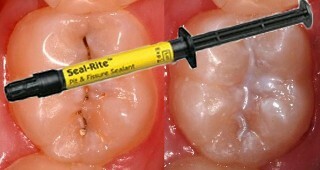 The use of sealants, topical fluoride and cavity varnish can also help. 6. Evaluation of contributing factors is essential including such things as poor diet, frequent snacking, gastric reflux, bulemia and other destructive habits. Individuals suffering from rampant decay can easily acquire treatment plans with $10,000 or more in restorative treatment. Typically, insurance plans limit the benefits a patient can receive to a few thousand or less a year. Patients relying on insurance plans to pay for significant portions of treatment when it comes to rampant decay, are usually surprised just how little a normal dental insurance plan will pay for. Patients who are confronted with large treatment plans in association with rampant decay must begin to seek out some type of financing, or have some financial resources, to deal with the significant restorative care needed in such cases. In short, good home care, limiting sugars in the diet, adding fluoride, watching in between meal snacks and doing work quickly to eliminate decay is the secret of success when dealing with rampant decay. It takes a commitment to change habits and behaviors, and prompt dental care. Modern dentistry understands what causes tooth decay and has many tool available to not only fix, but help prevent decay. It is possible to successfully treat those suffering from rampant tooth decay if prompt, timely diagnosis and treatment is rendered. These tools can help those suffering with Rampant Decay. 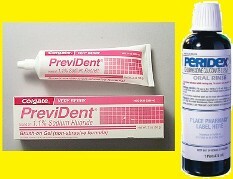 Some are preventatives, like fluoride, mouth rinses and varnishes. 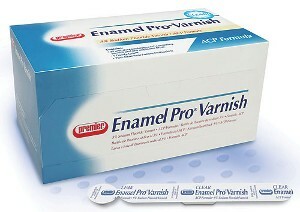 Others are tools for effective plaque removal like disclosing tablets, power tooth brushes and PerioProtect Trays. All can work together to get a difficult disease process under control, but ultimately, dedication from the patient is the ultimate tool to win the battle. Your dentist and hygienist can give you strategies for dealing with your out of control dental decay, which may include some of these tools, or others. 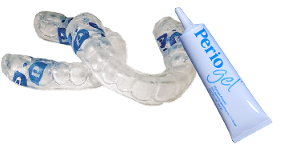 The PerioProtect system--something normally used to treat gum disease--is a great system for chemical disinfection of the mouth. This tray appliance holds hydrogen peroxide against the teeth and forces oxygenating bubbles between the teeth and under the gum line. Such a system can be very helpful in controlling the main problem--bacterial plaque. 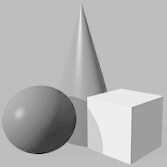 Ultimately, the battle comes down to time, money, dedication, diligence and pereverance--something a patient must have plenty of. Ultimately, the patient must decide how important it is to save the dentition and whether they're willing to do what it takes. Reality would suggest that some individuals are just not willing to change and adopt all the methods, techniques and strategies required for a successful outcome. It is far better to make an accurate assessment of just how important it is at the outset, as it can save the patient wasted money on half-hearted attempts to restore and preserve the teeth--money better spent on transitioning into dentures and removing the diseased teeth.